Break free from pain, so you can get back to doing the things you love. Enjoy a brighter future, and be healthier than you ever thought possible! 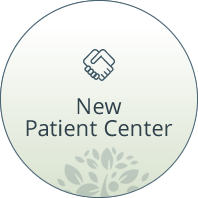 Welcome to Thrive Spinal Care. We are a NUCCA chiropractic center serving Cooper City and Davie, Florida. Our goal is to provide the most gentle, safe, and effective care for the health of your spine. Whether you are a mom looking for help for your child, a dad looking for relief from chronic pain, or an athlete looking to gain a competitive edge, Dr. Jason Granger and his team can help you reach your health goals. Our warm, welcoming environment offers the perfect opportunity for your family to not only feel, function, and live better, but to thrive! “I love NUCCA because it makes me feel better now and gives me hope for the future. This is the MOST effective and helpful chiropractic treatment I have found. I have better posture and walking.” – Andrew K.
We Care. We Listen. We Get Results. 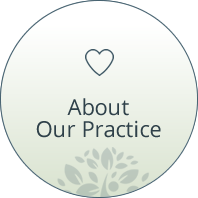 At our practice, you will receive precise care with measurable results using the NUCCA technique. Dr. Granger is one of only 218 doctors in the United States trained and proficient in this specialized method. What makes our approach different? We will start by identifying your needs and addressing the source of your problems. Next, we will work to correct the problem, rehabilitate, and then strengthen your body. Finally, we will empower you to feel better and stay better than you ever thought possible. Enjoy doing the things you love for many years to come. Let us serve your family’s needs. Schedule your appointment for a complimentary consultation today! Very comfortable office environment, nice staff, very thorough appointment and great positive attitudes. 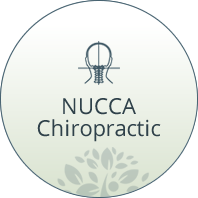 I love NUCCA because it made me feel better after the first adjustment and there is a good focus on long term healing! My wife encouraged me to seek NUCCA care for my lower back pain. I began to see results after my fourth visit; I had NO back pain. This treatment has given me life without back pain. I think Dr. Granger and the office staff are great people. I love NUCCA because I can sleep with a pillow again, I have far fewer headaches, my posture is improving daily and I have loads more energy!